The latest season of CMU Insights training courses is currently underway, with two more upcoming on music copyright, and then three sessions on music marketing and PR. 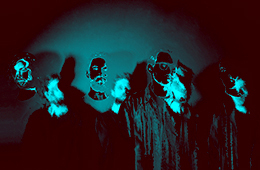 You can book your places here. 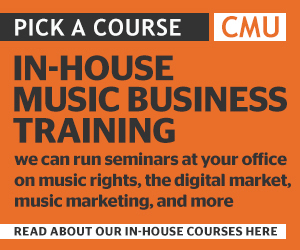 But don’t forget, CMU Insights also provides in-house courses, where we run seminars for music companies and companies working with music, as part of their own training programmes. These sessions are a great way to ensure that your team is fully up to speed on all the technicalities, current trends and best practice in music rights, music industry deals, streaming, marketing, social media, music distribution and artist management. They also double up as great team-building sessions where employees can ask lots of questions and share their own insights. For more information on the in-house courses currently available, click here.